Fortune Mkhabela has come a very long way since growing up in Pienaar KaMsogwaba outside Nelspruit. He possesses a wealth of experience across politics, senior management positions and faith-based organisations. He wears many hats: In addition to being the chief risk officer of the South African Nuclear Energy Corporation, he is also an audit committee member of the department of planning, monitoring and evaluation (Presidency), chairperson of the Risk Management Committee at Govan Mbeki Municipality, and an audit committee member of Gauteng Central Athletics. 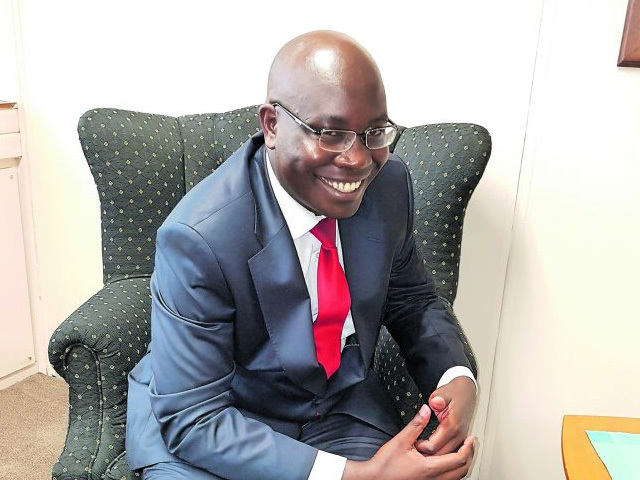 He serves as an assistant pastor at the Apostolic Faith Mission Bethesda (Msogwaba) and is the founder of the Movement of Baptism and Outpouring of the Holy Spirit. Additionally, he is completing his MBA with the University of Reading, UK. Mkhabela has also spent a fair amount of time in student politics, having served as deputy president of the Student Representative Council at Wits in 2007. During his term, he was part of the group that protested against the privatisation of residences and proposed fees and worked with university management to agree to a third meal for all students on the National Student Financial Aid Scheme. He was also previously treasurer of the South African Students Congress, Johannesburg Region, and a member of both ANC and ANC Youth League structures. He is driven to not only do his best for himself but also to constantly work to uplift others. “Being from a very poor family background, having experienced poverty and hopelessness from birth, has made me to work throughout my life to defeat poverty and to create opportunities for others to succeed,” he says. Mkhabela draws strength from his faith, which led him to start the Movement of Baptism and Outpouring of the Holy Spirit with the aim of helping to teach Christians about the centrality of the role of the Holy Spirit in the Christian faith.